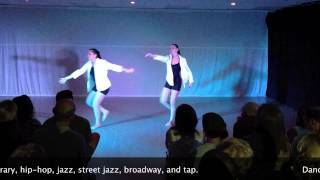 The Institute of Dance Artistry (IDA) 2015 Summer Intensive. (PRLEAP.COM) March 16, 2015 - The Institute of Dance Artistry (IDA) is pleased to announce our 2015 Summer Intensive Workshop. The workshop is two separate one week sessions. Experience the life of a dancer during either or both of the one week programs designed for 6th grade to college age dancers. 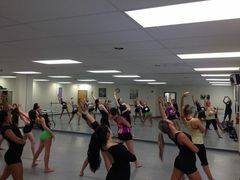 In each session students will take daily dance technique classes in various styles including ballet, contemporary, hip-hop, jazz, and tap. All classes and choreography are taught and created by professional dancers and teachers from the Greater Philadelphia area. Dancers will be cast in performance pieces from solos and small groups to large production numbers. They will rehearse for a two-night, fully costumed black box theater performance. The first session runs from July 24th to July 24th, 9 AM to 3 PM. Auditions for performance pieces take place on July 19th. Performances are on July 24th and 25th at 7:30 PM. The second session runs from August 17th to August 21st, 9 AM to 3 PM. Auditions for performance pieces take place on August 16th. Performances are on August 21st and 22nd at 7:30 PM. Both sessions of the 2014 Institute of Dance Artistry Summer Intensive workshops more than exceeded expectations. Each workshop was a week of total dance involvement. Students worked and learned about their art, achieving a higher level of artistic accomplishment and personal enrichment. 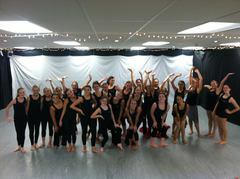 The dancers completed their Summer Intensive experience by performing their pieces in a fully-costumed, two-night show. The performances were hosted in IDA's Artistry Theatre, a black box performance space seating 80 people. An unforgettable experience for all. This is an excellent program for dedicated, focused, passionate dancers from beginner to advanced. If you're a dancer who loves dance and loves performance opportunities this is the workshop for you. Students are divided by age and level so there is a place for everyone. Join us for this amazing, immersive journey into dance!